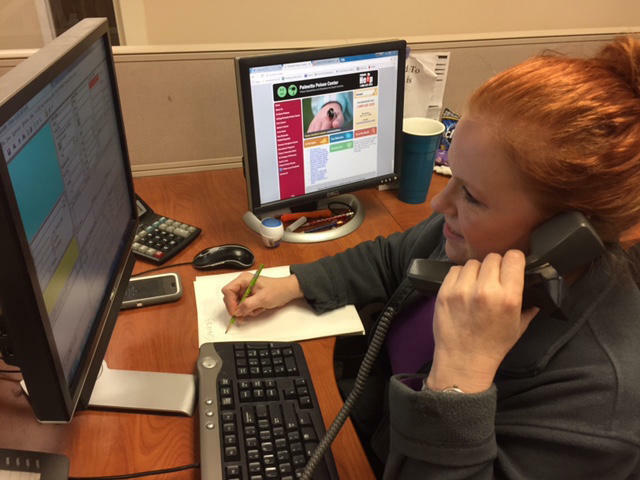 Poison Center operator Kelly Funderburg, a former emergency room nurse, answers a call and looks up information to advise the caller about a potential toxin. The Palmetto Poison Center is open 24 hours a day, 365 days a year. 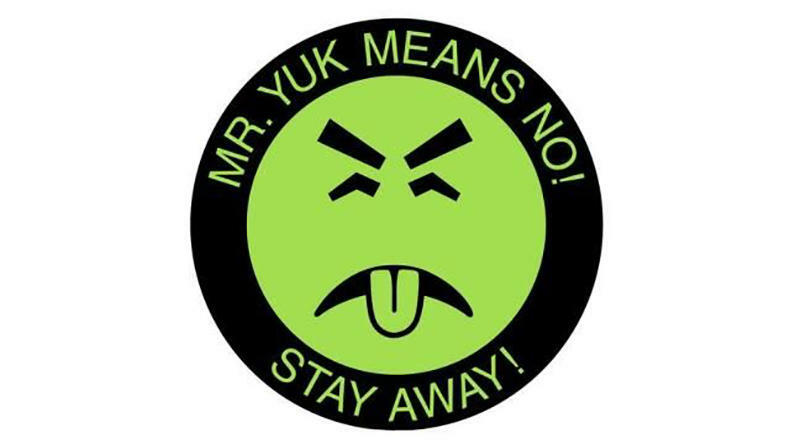 The Mr. Yuk symbol is available as a sticker to put on items dangerous to warn children away. A child has drunk sweet-smelling shampoo. A senior has taken his wife’s prescription by mistake. A person comes to the emergency room after taking multiple medications at 3 in the morning. What to do? The Palmetto Poison Center is on-call 24/7 to help with cases from parents’ worries to questions from doctors unfamiliar with the effects of varying drugs taken together. March is Poison Prevention Month, and according to center Director Dr. Jill Michels, the Poison Center (1-800-222-1222) is manned by trained personnel with a massive database of information on potentially toxic substances, from household cleaners to plants. The Center receives about 30,000 calls per year from every county in South Carolina, though fortunately, many of them are for information, not emergencies, so they help prevent poisonings. She says most poisonings involve everyday items people have in their homes, and that one of the easiest ways to prevent poisonings is to keep cleaners, pesticides and medications in their original containers. Click to Listen... South Carolina Focus is a production of South Carolina Public Radio.